Episode 6 of Out Now may be our best one yet! 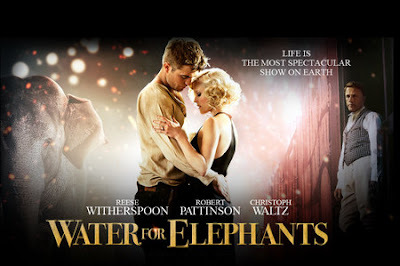 Abe and I discuss the film Water for Elephants and also delve into discussion of some upcoming films, including Priest, Dylan Dog, and even a little Fast Five. Our podcast also features regular segments, including box office results and predictions, a look back at related films to our main feature with our retro review, as well as fun and games in our later segments. I think the real joy, however, comes from the discussion of Water for Elephants, which marks the second time Abe and I have disagreed about a movie. Best of all, we now have Intro and Outro music! That's right, thanks to Abe's mad editing skills and my ear for some fitting sounds, we now have RJD2 tracks to add to the fun of our podcast. So as always, if you have an hour to kill, give this a listen.